Having read recently that the Valero-Darling venture to produce biodiesel had completed construction caused me to reflect on my own experience with creating biodiesel from waste products. The 50-50 partnership between Valero Energy and Darling International is a biodiesel production plant near New Orleans that will produce roughly 9,000 barrels per day of the renewable fuel from animal fats, used cooking oils and other feedstocks. My 50-50 partnership to do the same (albeit on a considerably smaller scale) was with my brother-in-law. As with most new ventures, some significant event is usually the catalyst that jumpstarts the operation. With large commercial biodiesel ventures like the Valero-Darling partnership, the impetus is primarily to comply with federal requirements for refiners to blend certain volumes of renewables into their traditional transportation fuels. The catalyst for my venture was the third swipe of my credit card at a pump when filling my Texas-size truck with diesel. In the summer of 2008, diesel prices in the Houston area blew well past the $4.50 per gallon mark, and my credit card was about to get the workout of its life at the pump. Texas is known for its large trucks, and mine was no exception. A hulking Ford F-250 with an equally hulking fuel appetite fed by a generous 37 gallon fuel tank. The refueling session that fateful day started as usual, with the typical swipe of the credit card followed by the setting up of lawn chairs and coolers while waiting for the seemingly all-day process to complete. (All humor aside, it does take excruciatingly long amount of time to fill 37 gallons.) I was already prepared to have to swipe my credit card a second time to complete the fill-up as there was $75 limit on each transaction at the pump. The first $75 came rapidly, and I started a second transaction. But when the second $75 rolled by, and I realized that I was still short several gallons to top off the tank, I vowed (while swiping the card yet a third time) that I would find a solution to feeding this monster. Across town, my brother-in-law was experiencing a similar scenario due to the fact that he drove a similar diesel-eating beast. 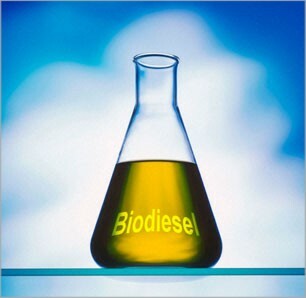 He called me from his lawn chair at his gas station and said, “Hey, you’re in the energy industry, isn’t there something we can do about this?” Thus began our journey into the mysterious world of “Making Your Own Biodiesel”. A simple Google search on those exact words will produce thousands of hits and a seemingly endless, and confusing, amount of resources. However, after hours of research (much of it done from a lawn chair at the gas station while waiting for the truck to fill), I finally felt ready to propose a venture to my brother-in-law on how we would be able to make our own diesel fuel for as little as $1.00 per gallon. The process is simplistically explained by having two things: A) Access to used cooking oil from local restaurants, and B) A magical machine that converts that used oil into biodiesel. As it turned out, there are several varieties of machines (biodiesel processors), and some are more magical than others. At one end of the spectrum are your low-level wizards comprised of used hot water heaters, numerous hoses, valves, buckets, test tubes, beakers, scales and a lot of instructions that contain words like “try to” and “don’t ever”. On the other end are your “grand wizard” processors with simple steps like “insert oil, press button, remove biodiesel”. Given that we had little time to put into building a “home-brew” processor (and the considerable trepidation of potentially producing some foul, truck-killing liquid by accident), we opted to go for the Imperial Wizard Supreme Deluxe 3000 model (not its real name, but close enough). With Part B of the equation solved (via a large crate that arrived containing the shiny and astronomically expensive aforementioned Imperial Wizard Supreme Deluxe 3000), we headed out to find Part A of the equation: used cooking oil. The first round of usual suspects proved discouraging as the major producers of waste cooking oil (named here in code as “Golden Arches”, “The King”, and “The Colonel”) were already wrapped up with contracts with large oil-collection companies. Thus we were relegated to the smaller independents such as “Me-Maw’s Homemade Donuts” and “Crazy Joe’s Bar & Grill”. But strike oil we did, and a few weeks later we were tooling around with a couple of 55 gallon drums on the back of trailer to collect all the used cooking oil we could find. At this point, it is imperative that I provide full disclosure and reveal that collecting waste cooking oil sitting in drums behind restaurants is a smelly, dirty and time-consuming job. And not only do you have to spend the better part of Saturday driving around to collect the foul mixture, you also have to transfer, strain, filter, and de-water all that lovely, free oil before you can put it in the Imperial Wizard Supreme Deluxe 3000. At the end of a long couple of days of all this, we finally had a couple of barrels of waste oil ready to process. But the fun was just beginning. You also need a variety of other chemicals and liquids before the Wizard will begin its magic. First, we needed 5 gallons of methanol for each 50 gallon batch our Wizard could process. Methanol (also more commonly known as racing fuel), can’t be bought just anywhere, and after spending a few hours locating a local race shop that sold it, we hauled home a 55 gallon drum of the explosively hazardous liquid. Next we opened up our box of chemicals that need to be added in addition to the methanol, and were met with a bag with a large warning label that contained goggles, face masks, full-body aprons, and pairs of heavy-duty chemical resistant gloves. Why you ask? Well, in addition to the methanol, you also need a chemical agent such as sodium hydroxide or potassium hydroxide to enable the process, and in some cases (such as with our Wizard), you also need sulfuric acid. This was starting to look more like a meth lab than a DIY home biodiesel project, and we began to worry about the neighbors. But now it was time for the magic. Fill the machine with the strained, filtered, de-watered used cooking oil, add the methanol and chemicals, and then wave the magic wand, or (in the case of the Imperial Wizard Supreme Deluxe 3000), press the Start button and come back in 24 hours. The following evening, we visited the Wizard which now held 50 gallons of “almost-ready” biodiesel. Before we could get at the golden liquid and feed our monster trucks, we had to drain off the by-product of the process. This is known as glycerin (or generally glycerol since it still contains trace amounts of methanol in it). It’s a black, smelly liquid that looks like oil and unless you plan on making 5 pounds of soap per week (a typical use for glycerin), you now have 5 gallons of another junk, semi-toxic liquid that you can’t give away (or pour down the drain with a clean conscience). The Wizard wasn’t quite done yet. Once the glycerol is drained off, the machine needs to “wash” the biodiesel, which is exactly what it sounds like: It literally sprays water into the biodiesel which cleans any remaining glycerin that might suspended in the biodiesel (a very, very bad thing for diesel engines), and another 24 hours later, the waste water is drained off. But finally we had biodiesel! It was a beautiful, clear, golden color, and we wasted no time in filling one of our trucks (I was the first guinea pig, which was no small matter when considering that I was perhaps about to turn a perfectly good truck into a large planter). But it worked like a charm, and had the surprisingly pleasant side effect of producing exhaust fumes that smelled exactly like “The Golden Arches”. Given the exorbitant cost of the Wizard, I had run a lengthy “return on investment” analysis on the whole project. Assuming we both used the machine religiously, we would break even by the time our toddlers were ready for college. But that was beside the point. We were sticking it to the man! We were putting $1 biodiesel in our monster trucks! We were spreading the smell of “The Colonel” all around town! The experiment was short-lived. Eight months later, diesel dropped from a high of about $4.70 per gallon to almost under $2.00. Combined with the fact that we were spending almost every other weekend dragging a smelly trailer around to even worse smelling backsides of restaurants to collect the oil, and then suited up to work in the meth lab (as we fondly called it), the bloom was soon off the rose. By the end of the following spring the Imperial Wizard Supreme Deluxe 3000 was sold. Am I sorry we did it? Not in the least. Would I do it again? Perhaps, given the right market conditions again, and with a significantly increased number of partners to spread the smell, I mean, work. Epilogue: We’re still looking for a (relatively) legal way to get rid of 200 gallons of black, smelly, semi-toxic glycerol. Soap anyone?